Pioneers in the industry, we offer powder metal detector from India. We are leading supplier of Powder Metal Detector. 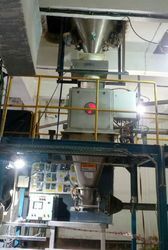 Specially designed Model to check Granular and Powdered Products, This is our designed Model to check Granules and Powders used for food and pharmaceutical industry. Ideal to check products like Soya Granules, Bulk Powders, Spice Powders, Grains. Material Of Construction: Stainless Steel (ss 304). Power Supply - 23 V Ac 50hz Single Phase.